Amy-Jill Levine is not only very active in Jewish Christian dialogue but she is an author who gathers a lot of exposure. Most reviewers either love or hate her books. For myself – I felt a bit of both. In honesty, I put the book down after the first chapter to pray about my attitude and to consider tossing the book or reading it to the end. After a much needed attitude adjustment I moved into the second chapter, The Good Samaritan, and how glad I am that I did! In the introduction Amy-Jill Levine highlights some very important points, one being that Yeshua’s parables invite us to engage. The parables aren’t just nice stories but are meant to challenge us, to make us uncomfortable. Another important point – In listening to parables and appreciating them within their initial context, we do well to listen for echoes of Israel’s Scriptures since the parables evoke earlier stories and then comment on them. Take for instance Luke 15:11 when we read, “There was a man who had two sons…” To Yeshua’s Jewish listeners, this would bring to mind Abel and Cain, the sons of Adam; Ishmael and Isaac, the sons of Abraham; Jacob and Esau, the sons of Isaac… and reading the parables in light of the previous narratives creates both surprise and challenge. One of the objectives of Amy-Jill Levine’s writing of this book was to unmask Anti-Semitism in parable interpretation. She offers up traditional Christian interpretations for each parable, most of which I have never heard of or, if I had, I would have quickly dismissed. It is important to note that Amy-Jill Levine often quotes [the questionable sources as regards Anti-Semitic and Anti-Torah attitudes, of] Robert Funk of The Jesus Seminar and the early Church fathers. If you do read this book, take time to read her footnotes to understand the voices she is listening to and responding to; because, at times, it seems that Amy-Jill Levine does a bit of stretching to tie in Anti-Semitism to each particular interpretation of a parable. It saddened me to read some of Amy-Jill Levine’s characterizations of the Christian belief, but that only emphasizes the essential need for open and honest Jewish-Christian dialogue that will encourage clearer understanding of both spheres. It also acts as a stark reminder for those of us who have a deep and abiding love for Israel that not all who call themselves Christians have the same love for God’s chosen people, including major mainstream denominations. Amy-Jill Levine does ask provocative and profound questions. She brings in some very interesting explanations that help to better understand the first-century Judean context of the parables. If you, like me, have enjoyed and benefited from scholars such as Brad Young and Kenneth Bailey, you will find she does not always stand in accord with their conclusions. She can be a bit hard-hitting but, again, it is not a bad thing to have your understandings challenged. What a freedom indeed to be able to be right and wrong! 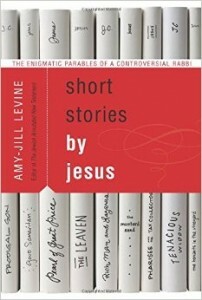 You, as I, may not agree with all of Amy-Jill Levine’s conclusions but I hazard to suggest that you will walk away from Short Stories by Jesus with much to ponder and, if read with a chaver, chances are you’ll have some amazing discussions! *I am giving just a couple of examples with the hope that anyone planning to read this book will read with discernment. At times Amy-Jill Levine is so very insightful, indeed I had moments when I read something and thought, “I would have bought the book for this one insight!” But as a good and wise friend reminded me — in Acts 17:11 the Bereans who listened to Paul (one who trained under Gamliel, was a rabbi of note, and a very significant leader in the early Messianic community) searched the Hebrew Scriptures (the only Scriptures at the time) to see whether or not what he said was true. We need to do likewise. To me the context of James 4:13 isn’t on a negative view of doing business but is a caution against an attitude that is prideful and independent from G-d. I don’t see this as an open question at all. Yeshua is the light of the world and He calls us, His disciples, to be lights also – to illumine the darkness of the world with the knowledge of our Father G-d and the truth of His Kingdom. I believe this reflects a very Jewish understanding that G-d is the Source of all Light and He has chosen His people to be a light, His light to the nations. This entry was posted in Book Highlights by Cindy Lou. Bookmark the permalink. 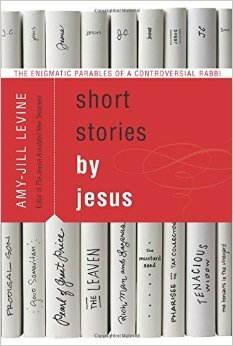 Enjoyed your review of “Short Stories by Jesus” by Amy-Jill Levine & definitely has me interested now Cindy to read her books…. the one thing I love about Jewish/ Hebraic thinking is that it challenges you and sometimes reading only one thing can change your direction of thinking, as a positive thing. I’m also am a great fan of Rabbi Sacks. Blessings to you Cindy! Jenny if you do read her book – I’d love to hear what you think. I too love how Jewish/Hebraic thinking challenges me – not only love how it challenges but sometimes it is what I need so much in my passion for G-d.
Jenny – I am also, as you know, a great fan of Rabbi Sacks. He writes and comments from the relatively safe and peaceful harbour of Jewish culture and thinking. Amy Jill Levine is interacting in the sometimes turbulent and stormy waters – as I am increasingly experiencing – of Jewish-Christian relations and bridge-building. Is it difficult most times? Yes. Is it worth it? Definitely! I might have to read that as well. Your comment, “– but, maybe that’s not such a bad thing – to read Short Stories by Jesus with two hands” very much reminded me of a chapter in Lois Tverberg’s “Walking in the Dust of Rabbi Jesus” called Thinking With Both Hands. In all my nearly 20 years of studying the Jewish roots of our faith, I’d never heard of “shakla v’tarya”/give and take. I thought Tevye’s “on the other hand” was his own expression, did not know it’s part of Jewish thought/dialectic. Our church’s ladies group is doing Breathe, by Priscilla Shirer, about sabbath margin. She quotes Heschel a fair amount. Really must get his Sabbath book. Haha good ol' Tevye - oh I love that movie. Michele it sounds like a wonderful study - and you sure can't go wrong with Heschel's - The Sabbath!